Opposition parties on Thursday demanded the Narendra Modi government to release the National Sample Survey Organisation (NSSO) data on status of employment, which has revealed that rate of unemployment in 2017-18 was 6.1 per cent — highest in 45 years. Congress spokesperson Anand Sharma said the President’s address to the joint sitting of Parliament on Thursday laid bare the government’s failure to deliver on its promise of creating 10 crore jobs, as it mentioned only 1 crore have been provided skill training. He also said the government's claims on Mudra loans were questionable, as the average loan disbursed is a measly Rs 23,000, which is utterly insufficient to start any business. "The speech is full of inflated numbers, but nothing on how many jobs the government generated from 2014 to 2018," he said. Sharma said the data, as revealed in the report, vindicated his party’s position that demonetisation destroyed jobs in the informal sector. He also said the current government has not spared any institution, including demolishing the credibility of the country's agencies that gathered and analysed data. The Communist Party of India (Marxist) said the suppression of the data was a clear admission “that the government’s policies have resulted in greater misery” for the people. The controversy on the issue raged through the day, with the Bharatiya Janata Party (BJP)’s official Twitter handle resorting to terming the reportage on the issue “fake news”. In a tweet, Congress President Rahul Gandhi referred to the PM as “the Fuhrer”. "NoMo Jobs! The Fuhrer promised us 2 crore jobs a year. Five years later, his leaked job creation report card reveals a National Disaster. Unemployment is at its highest in 45 years. 6.5 crore youth are jobless in 2017-18 alone. Time for NoMo2Go," said Gandhi’s tweet, with #HowsTheJobs (a trending topic on the social media platform on Thursday). In reply, the BJP tweeted: "It's clear that he has inherited Mussolini's shortsightedness and has myopic understanding of issues. EPFO's real data shows sharp increase in jobs, created in just the last 15 months. Only a man who hasn't ever held a proper job and is totally jobless can peddle such #FakeNews!" 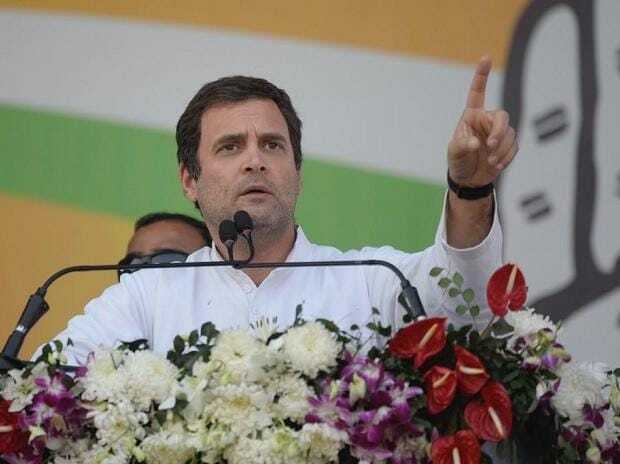 In a Facebook post in Hindi, the Congress chief said, “Truth cannot be hidden or buried, it is like a seed, and it doesn't take long for it to show the mirror to the one who has buried it… Narendra Modi's betrayal of the youth is in front of everyone today." Congress party’s chief spokesperson Randeep Surjewala, pointing to the Business Standard report on the issue, said India does not want a government that has left the future of the youth in jeopardy. CPI (M) chief Sitaram Yechury, citing the same report, tweeted: “Youth unemployment at astoundingly high levels of 13-27 per cent. Lives, livelihoods lost under Modi government and our most valued asset, our youth put into misery. This has a direct impact on India’s future. Modi’s policies are to just help rich cronies. For the rest, it is jumlas (slogans)”. In a statement, the CPI (M) politburo said the two members of the National Statistical Commission, a statutory body which releases the NSSO reports, resigned because of the unemployment data. "The latest NSSO data that has been withheld by the Modi government has shown that unemployment in India post-demonetisation had reached a four-decade high," the statement said. Congress leader Abhishek Singhvi also referred to the report and posted a tweet to allege that if the figures were inconvenient, "doctor them"; if experts are independent, make them "lame duck and force them to resign"; if doctoring not possible, “change basis of the calculation”. He tagged the BJP and Modi in his tweet. Nationalist Congress Party (NCP) Lok Sabha member Supriya Sule asked whether the government would answer the questions being raised or "remain silent, as has been the trend".